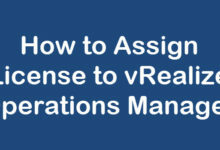 As we know that vRealize Operations Manager is a complete monitoring suite from VMware for vSphere and it provides complete visibility and insight into your virtual infrastructure. 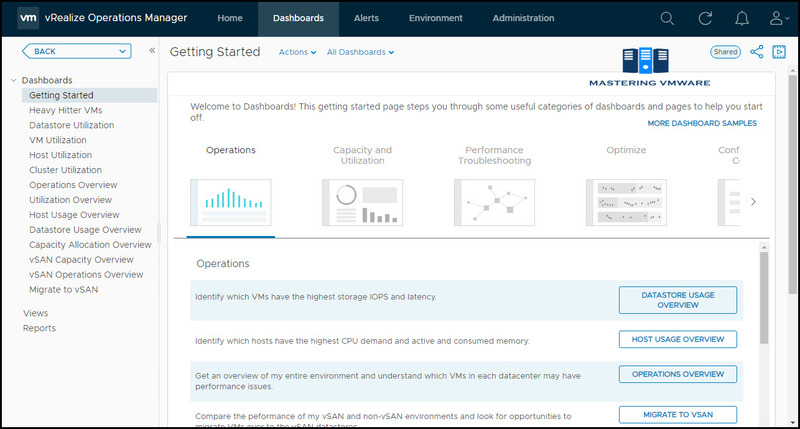 One of the best feature of vROPS is dashboards, Dashboards present a visual overview of the performance and state of objects in your virtual infrastructure. 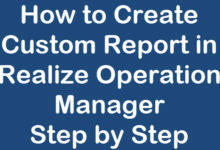 You use dashboards to determine the nature and timeframe of existing and potential issues with your environment. 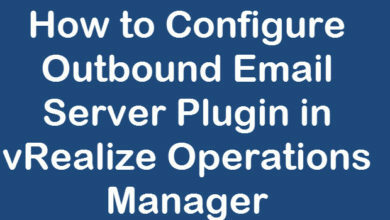 You create dashboards by adding widgets to a dashboard and configuring them. Here first you will see Getting Started section. 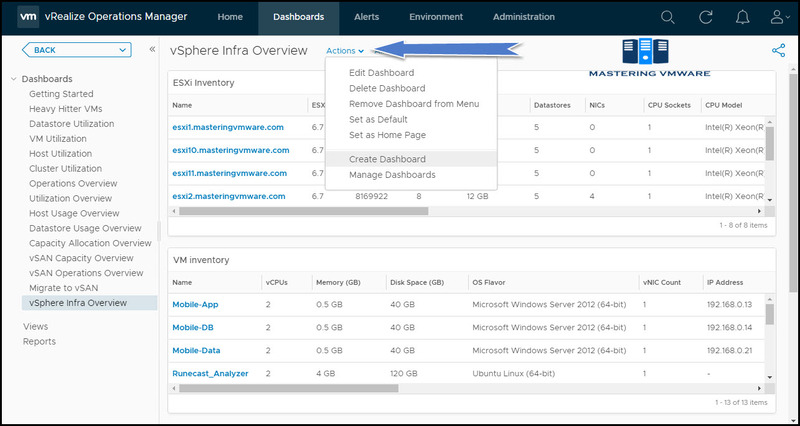 Getting started will help you to know more about dashboard categories and which types dashboards are available. So you can access the dashboards easily. To View the predefined dashboards click on All Dashboards on the top. From Here you can specify which dashboards you want to select and view. 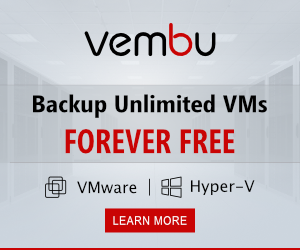 There are many more predefined dashboards are available which are most suited for your operations tasks and managing inventory, monitoring performance of vSphere Infra. Here we have selected 2 dashboards categories Capacity and Utilization and Operations. Once you select dashboards those dashboards will be shown in the navigator on left side. To manage dashboard settings click on Actions as shown. You can Create, Edit and Delete the Dashboards from action. 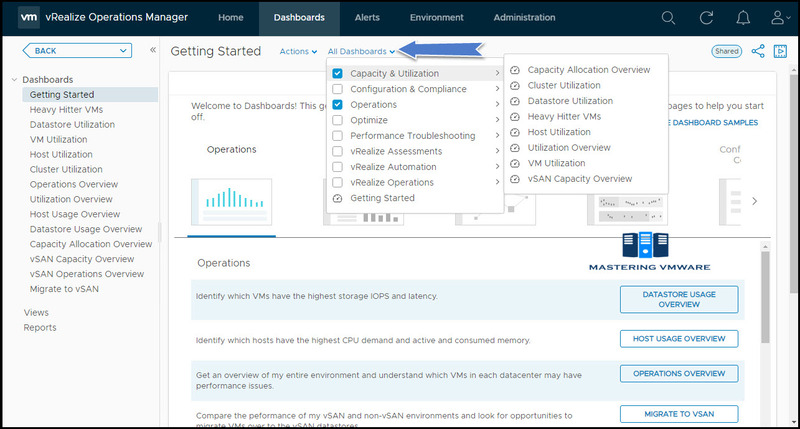 You can Set the Dashboard as Home page as well so when you login to vRealize Operations Manager you will get Dashboard as Home Screen. 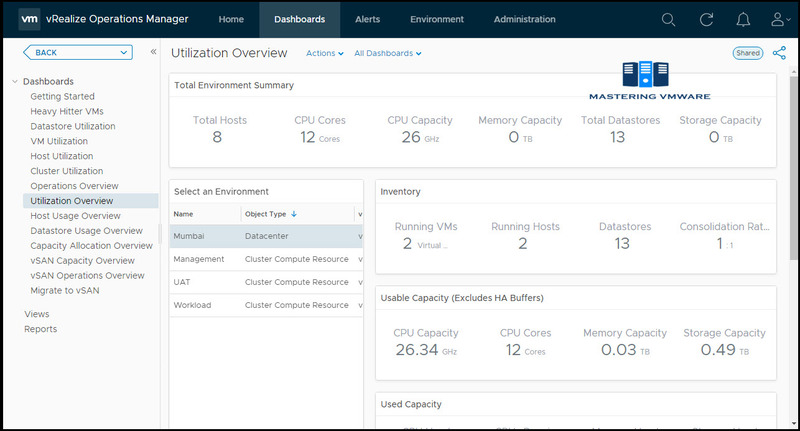 Below is the Dashboard of Utilization Overview in vSphere Infra. 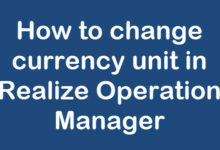 So now you can easily know about your resources utilization . You can select the dashboard from left pane to view information. 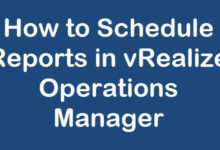 That’s it, using this way you can easily view and manage dashboards which are required for your organization.The Dashboard provides a quick overview of the performance and condition of your virtual infrastructure. 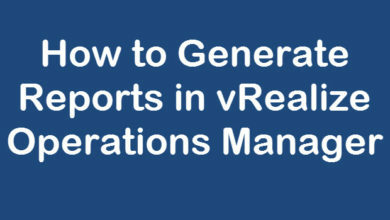 Dashboards helps you to get the information about your vSphere Infra easily in graphical view. 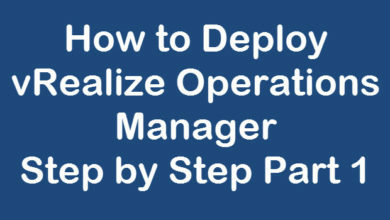 In the Next post we will see on How to create Dashboard .